For both post-production plastic materials and post-consumption plastic materials, our plant has a special collection system where a first large scale classification of these two types of waste is carried out. 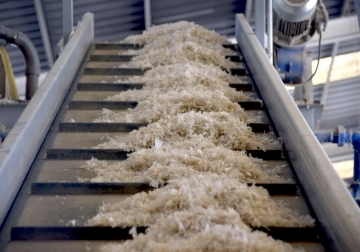 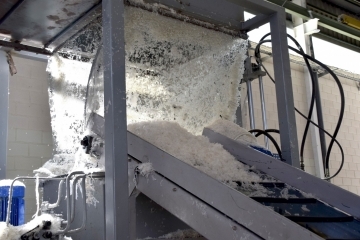 During this process, the material is shredded into plastic flakes in order to efficiently prepare the washing of the same. 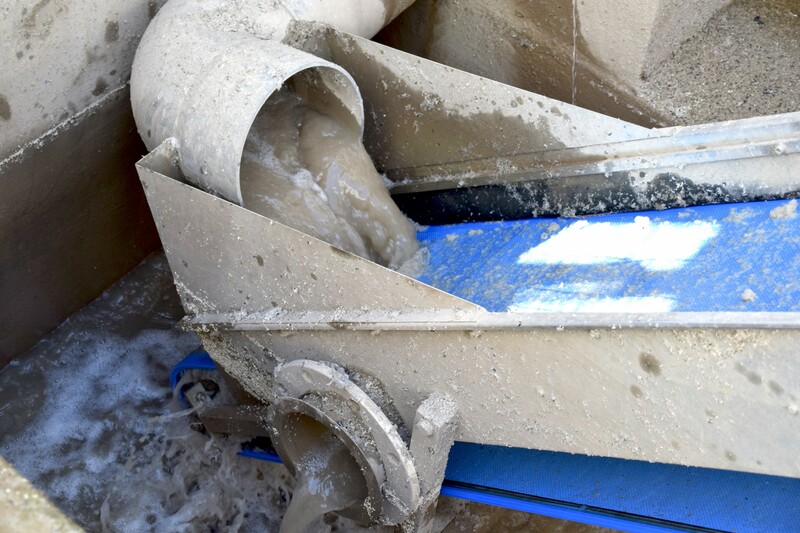 A system developed especially by our R & D department, allows a much more effective cleaning of the crushed plastics than conventional systems on the market. 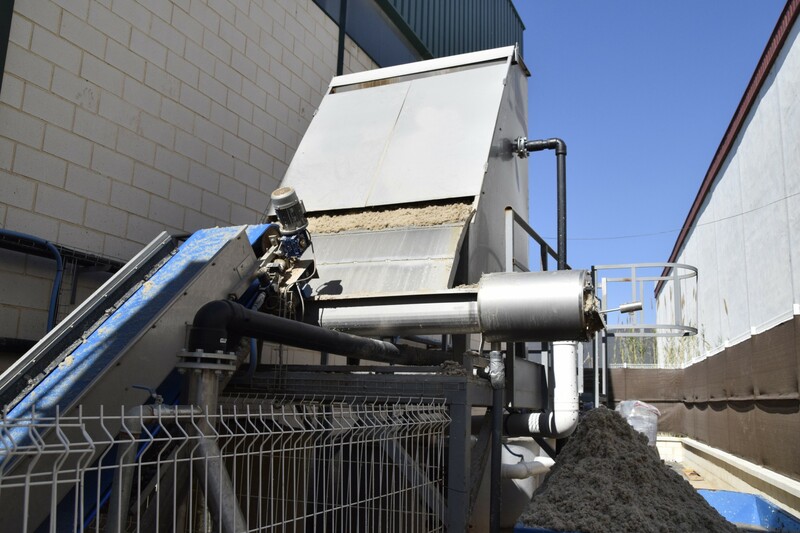 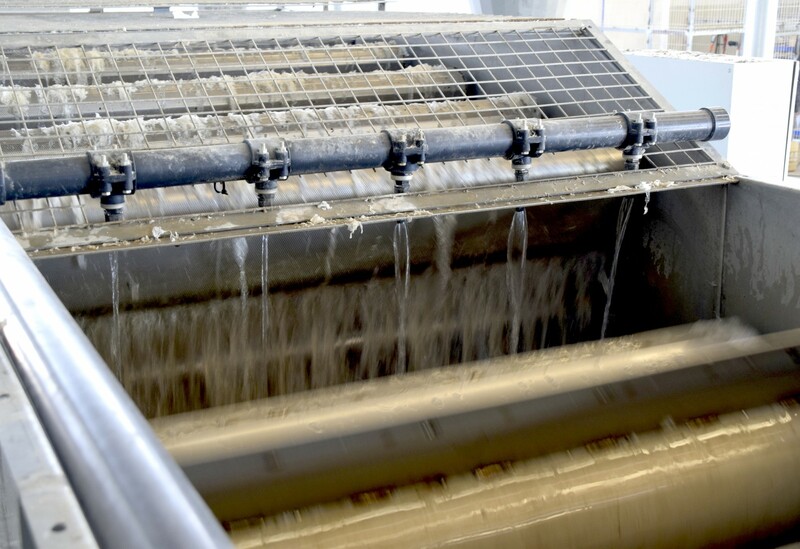 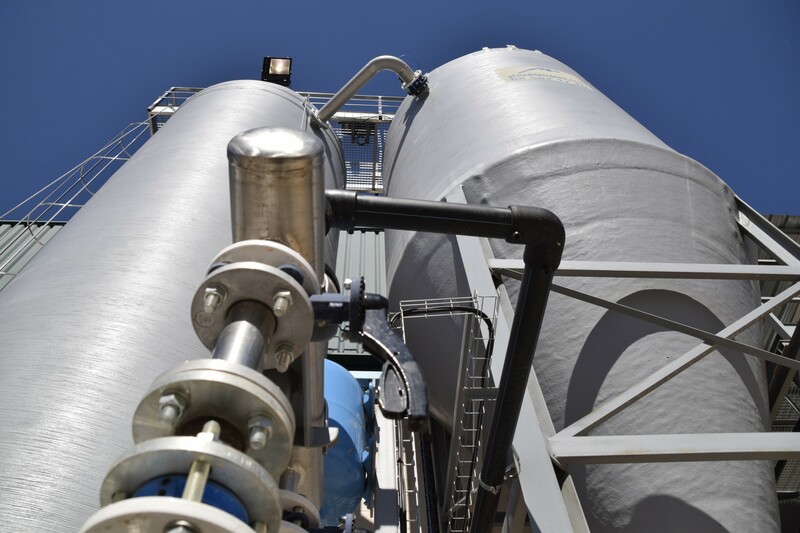 Of course all water used in the process is properly treated in our purification plant to be re-used. Once the washing process is completed, the plastic flakes are centrifuged and dried to produce clean granules without any moisture. 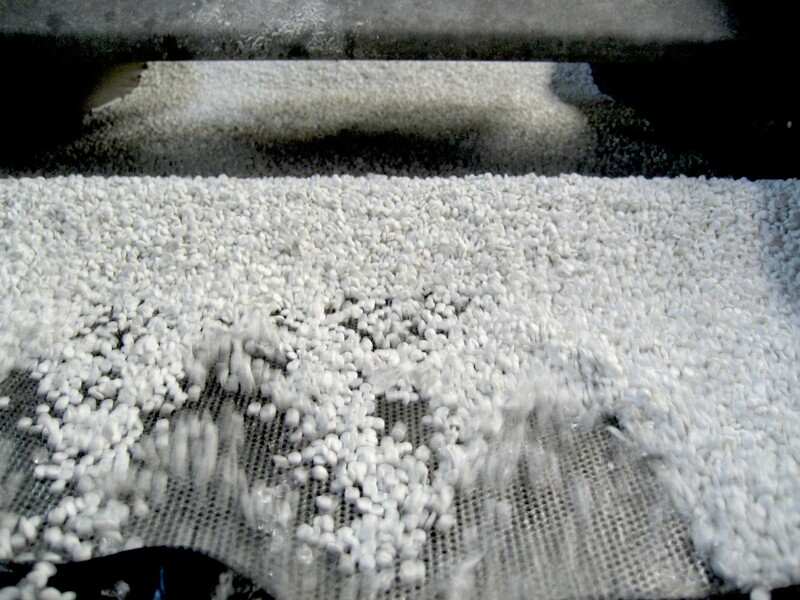 Our modern, high efficiency polyethylene recycling machines, powerful degassing and exceptional filtration system process the wastes of washed and dried plastic, melting it and generating new recycled pellets that will be introduced into the extrusion process for the manufacture of new polyethylene bags. 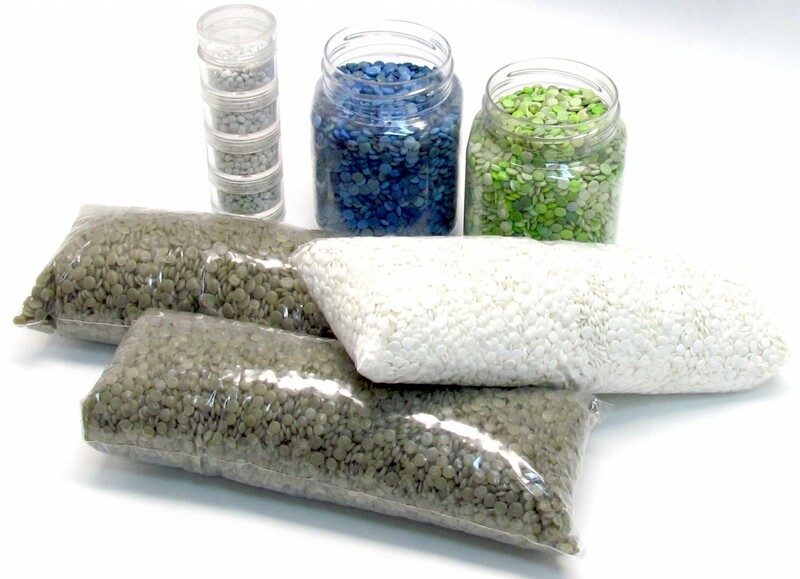 The quality department document the history of the process by collecting representative samples of all the new batches that are manufactured. 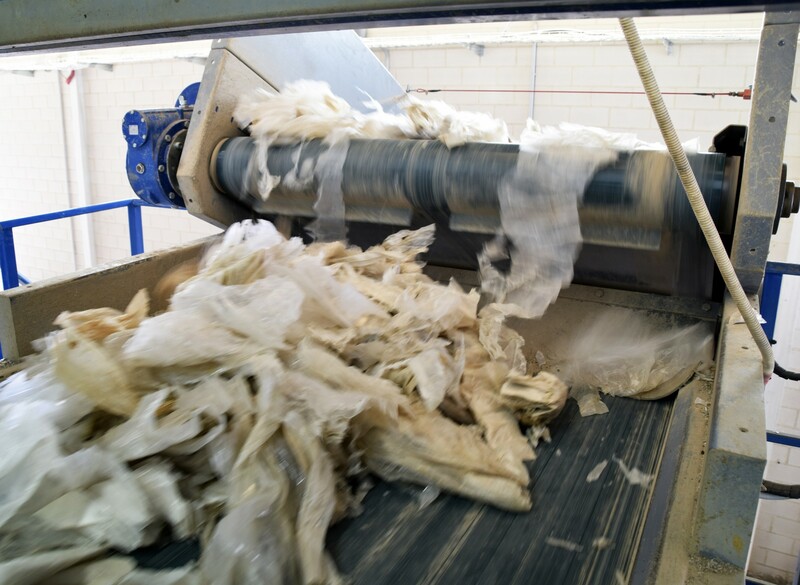 These are subjected to physical and chemical tests thus ensuring a recycled material of superior quality.